Being used to store food products and to prepare meals, kitchens need regular and comprehensive sanitising to be maintained in hygienic condition. We can offer you our professional services which can be used after celebrations and special events or for one-off sanitising of cooking areas in domestic and commercial properties. The work of our staff includes mopping and sweeping of hard floors, wiping and scrubbing of kitchen cabinets, shelves, sills, frames and surfaces. Our cleaners provide degreasing of electric and gas ovens, hobs, dishwashers, fridges, freezers, microwaves and other appliances. 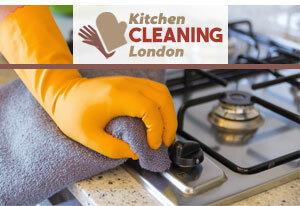 Get in touch with us to schedule your kitchen cleaning which we provide in Stoke Newington, N16 and nearby. If your kitchen needs a professional cleaning do not hesitate to call our company as soon as possible and book our professional kitchen cleaning service. 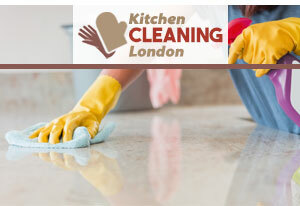 We will send you a team of professional cleaners, who have been trained to clean any type of kitchen in detail. Our cleaners have a detailed task list for a deep cleaning of your kitchen, you can rest assured that your kitchen will be in good hands. The professional kitchen cleaning service that we offer is available in Stoke Newington, N16 and we also have very economical prices. You can give us a call at any time and book our service for help. You can rely on our team of experienced cleaners to take care of the hygienic condition of your kitchen. Whether it is a domestic or commercial one, located in a restaurant, hotel or other property, our staff have the skills and equipment to carry out its professional cleaning. Take advantage of our kitchen cleaning services, provided within Stoke Newington, N16 and you will be pleased with the results of our work. It includes hoovering, mopping and sanitising floors, appliances and furniture inside and out, washing of tiles, sinks, taps and worktops. Get in touch with our customer centre to schedule the cleaning for a preferred day and time. Our kitchen cleaning services can be used in Stoke Newington, N16 by homeowners, holders of estates, restaurants, hotels and cafés. Our staff use dip tanks filled with heated solution to soak and dissolve grease and carbon deposits from electric appliances’ components. They scrub and sanitise inside and out ovens, fridges, microwaves, deep fryers, cabinets, drawers and appliances.